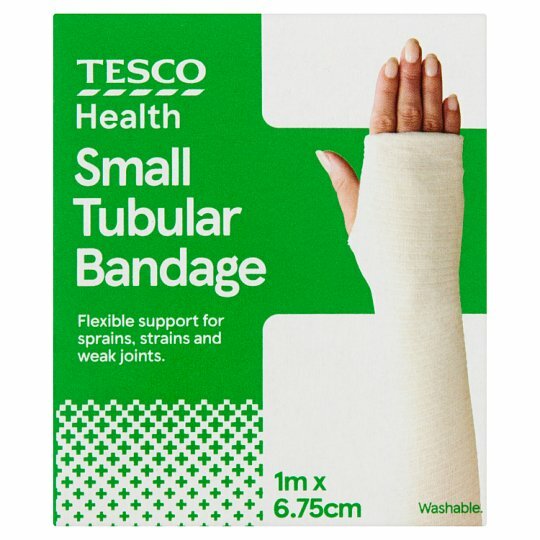 Tesco Health Tubular Bandage provides comfortable support for sprains, strains and weak joints. This bandage is elasticated and flexible for complete freedom of movement and is fully washable so it can be used multiple times. Flexible support for sprains, strains and weak joints.